Dr. Sithara Sreenilayam is the centre manager of DCU’s Advanced Processing Technology Research Centre (APT). She obtained M. Sc in Physics from Mahatma Gandhi University, Kerala India in 2005. She was a project staff in the Centre for materials for electronics technology (C-MET), Kerala, India (2006-2007) and in International School of Photonics (ISP), Kerala, India (2007-2008) and then graduated from the Dublin Institute of Technology (DIT), Ireland in 2013 with a PhD in Soft Matter Physics. Her PhD thesis investigated the bent-core and rod shaped Liquid crystalline systems for all-optical switching application. After working in (ISP), Kerala, India, as a Lecturer for one year she was a visiting researcher for three months in Trinity College Dublin (TCD) and then took up the three years of Postdoc research fellow position in TCD in 2014 where she investigated novel liquid crystalline systems for fast electro-optic device applications. 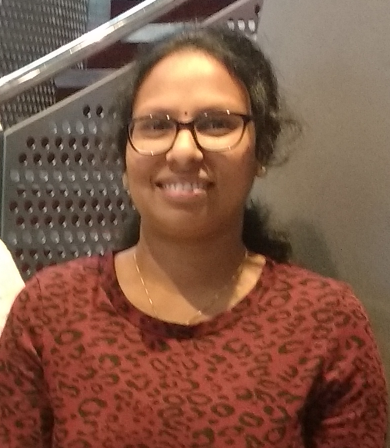 Sithara’s research interest has focused on the fundamental soft matter physics underpinning the next generation of novel functional materials. The main focus is to combine the significant features of soft matter self-assembly with nanoscience and additive manufacturing; to design and invent functional materials and exploit them for fast electro-optic device and biomedical applications. She was the winner of the SFI Research Image of the year Award-2018.